Chenone is a leading clothing brand serving the country for years. One of the best thing about Chenone is that they frequently offer the remarkable discount on every occasion. Recently they offer major 50% discount on Eid collection and up to 50% on summer collection. 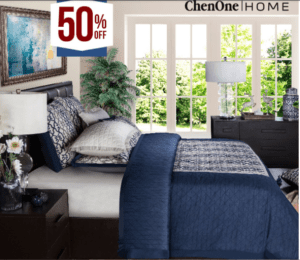 Now, they are offering Chenone Summer Solstice Sale 2018 with major 50% off. You can get home accessories, Men wearables, women wearables, and kids clothing. This is a limited time offer and valid from 23rd June 2018 to 1st July 2018. So, hurry up before this offer ends and fill your wardrobe with amazing clothing collection. In case, you have missed the Chenone Eid collection, you can grab it right now. As Chenone has offered all Eid collection for men on 20% to 50% off discount. The collection includes simple, printed and embroidered Shalwar Suits. The dress collection includes black, blues, light blue, white and brown colored dresses. You always want to get something unique and classy for your children. Here is a great opportunity for you as you can get all the collection of your kids available up to 50% off. The collection includes Shalwar suits and kurtas in different variety. The collection is available in black, green, white, grey, purple, and blue colors. Perhaps you can save the reasonable amount of money by purchasing this bedding collection. The collection is offered with 50% off on all single and double bedding sets. The sale is applicable on all the bedding variety except the new 2018 collection. Rush through our stores now before this offer ends.